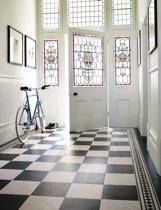 Amtico Signature and Amtico Spacia flooring collections are both designed and made in Britain. Amtico has a dedicated in-house team of talented designers travel the world for inspiration. They bring the latest trends from the structure of buildings, reflections in water, or texture of ceramics. All of these inspirations are captured, displayed, reviewed (sometimes discarded!) 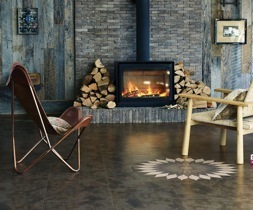 and turned into beautiful and individual flooring within the Amtico Coventry design studio. Amtico are pushing boundaries of what’s possible in flooring design by experimenting with new pigments, embossing techniques and design layouts. Combining creativity and innovation with the highest levels of quality in design, manufacturing, product and service. 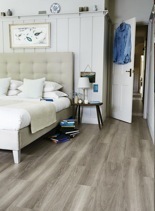 Amtico is a high-quality brand with high-quality products that are made by a British manufacturer with a 50-year ethos. Made in Britain means shorter and quicker deliveries helping to reduce the carbon footprint. So if you want innovative design, long-lasting quality and reassuring warranties, and you like what it means to be designed and made in Britain, take a look at Amtico Signature and Amtico Spacia in Total Floorings showroom. CONTACT US for a FREE measure/quotationand try samples at home. We are Amtico specialists, providing all the advice and information you will need, to get your perfect designer flooring.